Unravels Tear and Share Jokes and Riddles Crayon Sticks Only $10.16! You are here: Home / Great Deals / Amazon Deals / Unravels Tear and Share Jokes and Riddles Crayon Sticks Only $10.16! Check out this great deal on Amazon! 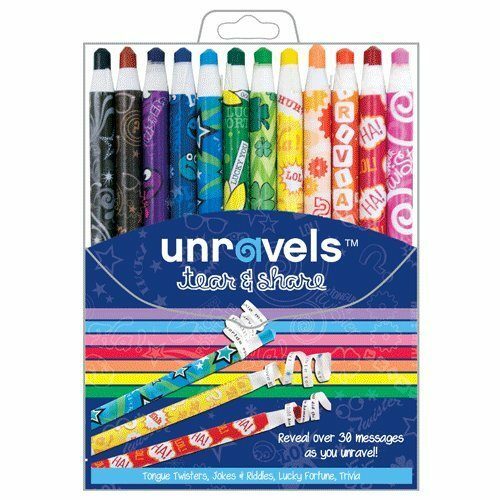 You can get these fun Unravels Tear and Share Jokes and Riddles Crayon Sticks for only $10.16! These are perfect for the young artist in your life.